Dr Judy L Mohr (aka Doc) has a PhD in Astronomy and Masters in Engineering. Jessie Sanders is a radio podcaster, curious about the world, but confused by the technobabble. Put the two together and you have the perfect formula to explain the science in a way we all can understand. 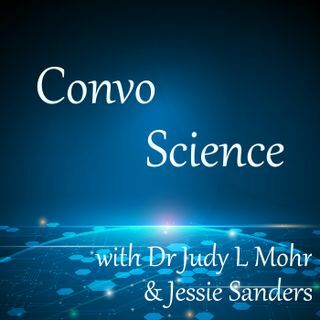 Welcome to Convo Science! ConvoScience: Climate Change: Fake or Real Science? ConvoScience: Earthquakes: Did Mother Earth just fart? ConvoScience: Twinkle, Twinkle Little Star... NOT!